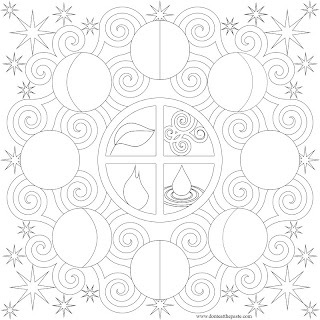 I love Facebook, especially when people like Samuel and Julie show me things they've done with the mandalas I've drawn. Thank you all for the encouragement and compliments! I hope you enjoy this mandala. 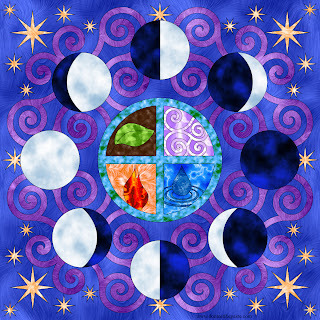 It's based on moon phases. The circle with the crossed lines is the astronomical and astrological symbol for earth. 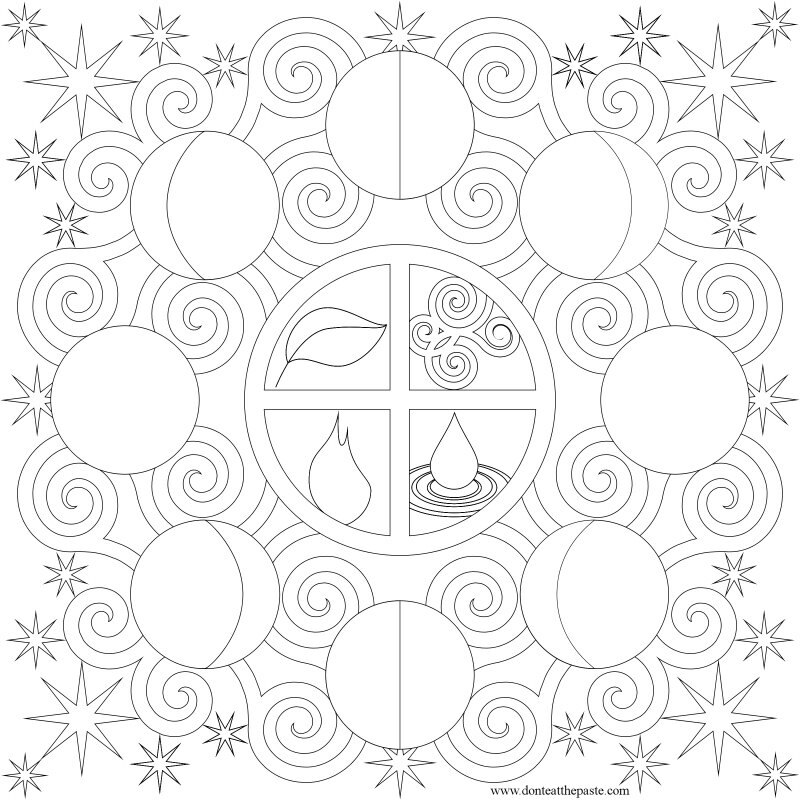 I filled in the quarters of that with the 4 traditional elements. I hope you enjoy it! Click on the images for larger versions. Thank You so much for making my day just a little better! Not sure I'd use this one on a card, but thought it would be good for a science lesson on the phases of the moon. Thanks, Shala!